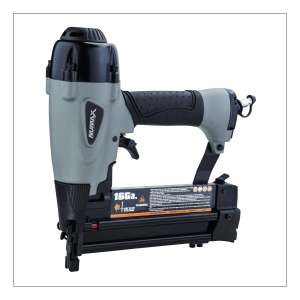 The NuMax S2-118G2 Pneumatic 2-in-1 18-Gauge 2″ Brad Nailer and Stapler is an excellent choice for interior and exterior finish work and trim, cabinetry, cabinet backing, window casing, picture frame assembly, and hobbies and crafts. This air powered combination nail gun and stapler is compatible with 18 gauge brad nails from 3/8″ to 2″, and 18 gauge glue collated 1/4″ narrow crown staples from 1/2″ to 1-5/8″. The ergonomically engineered aluminum body is durably constructed, resulting in a lightweight tool great for use over extended shifts. A comfort grip handle reduces fatigue while increasing control and accuracy of fastener placement. Other features of this combo finish tool include a no mar safety tip to prevent damage to your working surface, a 360 degree adjustable exhaust to direct air away from your face and debris, and a convenient reload indicator so you are able to see when you are running low on fasteners. 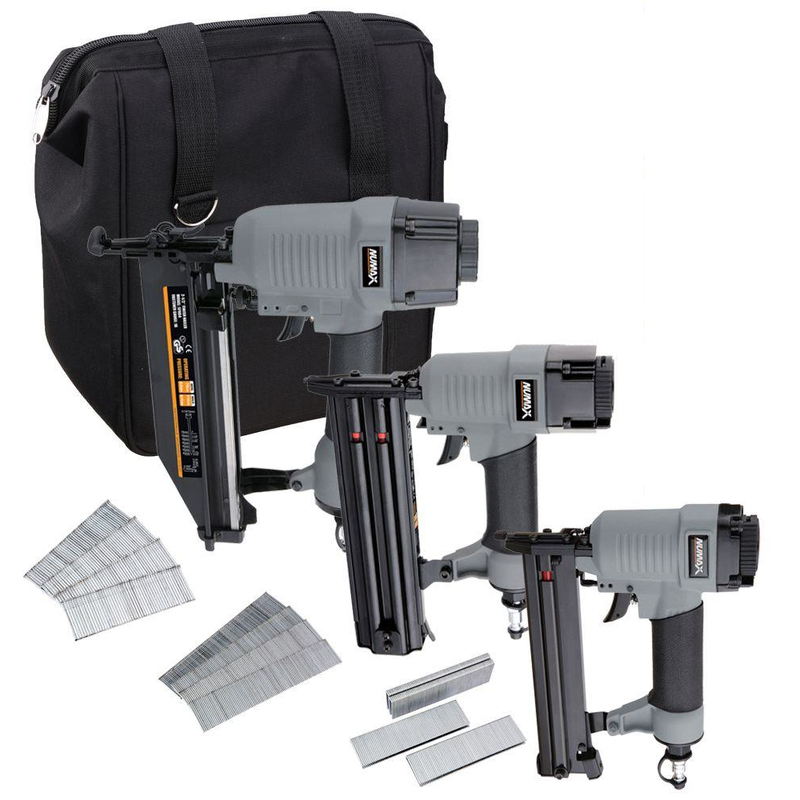 This affordable and rugged brad nailer and stapler will increase productivity for DIYers tackling home improvement and repair projects, as well as professional contractors at the job site. The Pneumatic 2-in-1 18-Gauge 2″ Brad Nailer and Stapler includes air tool oil and adjustment tools, and is covered by NuMax’s 1 Year Limited Tool Warranty and 30 Day Wearable Parts Warranty. 9.63" x 2.63" x 9.87"
Brad Nails: 3/8" – 2" / Narrow Crown Staples: 1/2" – 1-5/8"
18 Gauge Brad Glue Collated Nails from 3/8" – 2", and 18 Gauge Glue Collated 1/4" Narrow Crown Staples from 1/2" – 1-5/8"